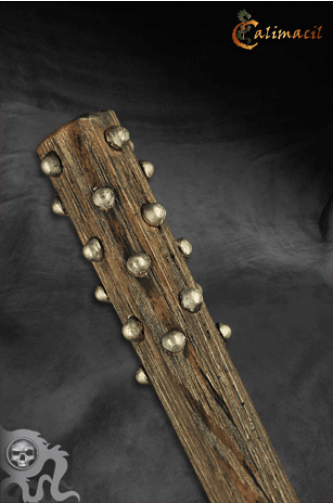 This is a very realistic reproduction of a studded club, which is perfectly suited to our Urban line of products. It is also quite appropriate for classical LARPers that seek an alternative to edged weapons. 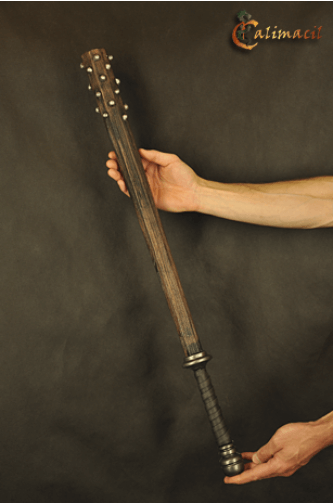 With its 32" length and one pound weight, it is well balanced for LARP combat. In addition, the material of the club is far softer than the standard Calimacil blade foam. While the Studded Club is perfect for our Urban line, its natural look also makes it an excellent choice for Heroic Fantasy characters. 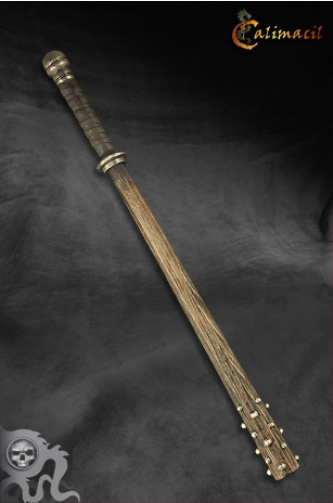 The weapon is precisely suited for the skull-crushing barbarian, for those highway bandits that don’t want to kill their victims, and for the city guards. It is also a great choice for priests and other characters that have sworn not to spill the blood of others.